This Osim Neck & Shoulder massager features a soothing warmth function that improves circulation and removes tension in no time. It features a one-button control menu that makes it very convenient to use. The lightweight design makes it easy to carry around, so you can get instant relief even when travelling. Designed for effective support and targeted relief, the uCozy relieves strains and soothes aches on your neck and shoulders. Soothing kneading massage: The 4 massage nodes eases tense and aching muscles with its robust 3D dual-directional kneading action. Simulating the expertise of a professional masseuse, feel the pleasures of effective, spot-on relief for your neck and shoulders. 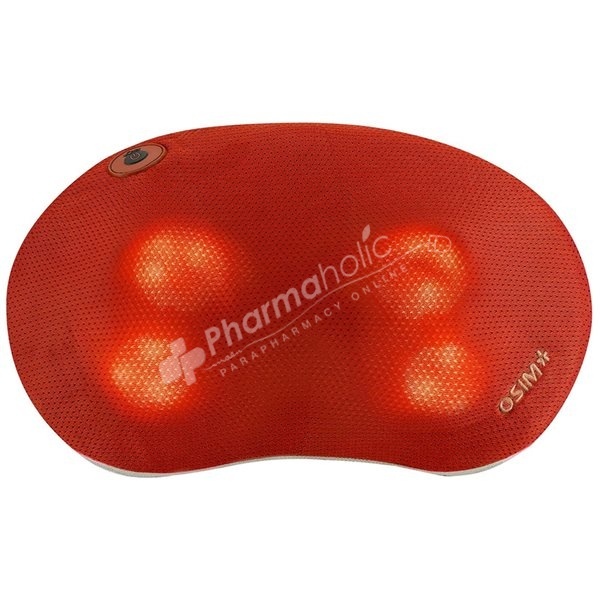 Comforting warmth: The soothing warmth function further enhances circulation and melts away tension to relieve sore, aching muscles. Portable delight: With a one-button control menu, the lightweight and portable massager is delightfully user-friendly. Just press and enjoy - whenever you wish. Car adaptor included.